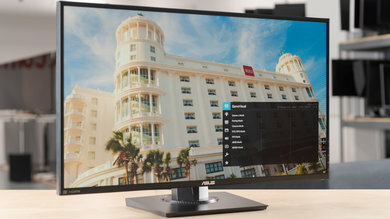 One of the best new features found on PC monitors, and even some TVs, is the ability to synchronize the refresh rate of the display with the content played, which reduces visible tearing caused by fluctuations in the frame rate. 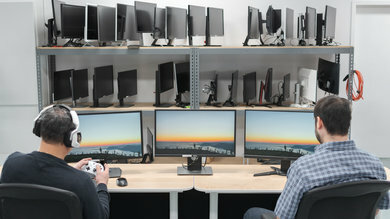 This is called Adaptive Sync or variable refresh rate, and it enables a smooth gaming experience nearly free of screen tearing and stutter, even in more demanding games where your computer might not be able to render the game at a higher framerate. There are two main technologies marketed with this feature: FreeSync, which was developed by AMD, and G-SYNC, which was developed by NVIDIA. They are very similar in function, but there are a few nuances between the two that are worth considering. What is FreeSync? Semi-proprietary standard for Adaptive-Sync, developed by AMD. Who should buy it: People with AMD Radeon equipped systems or people with less interest in variable refresh rate features. What is G-SYNC? NVIDIA proprietary Adaptive-Sync technology. Who should buy it: People that already own NVIDIA-equipped systems. We'll compare the two technologies in their fundamental philosophy, their support and connectivity, their effect on input lag, and their overall availability and related future developments. 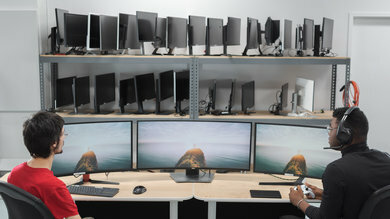 Both technologies refer to the software solution named Vertical Synchronization (or VSync for short) which has been used with display adapters for decades now. 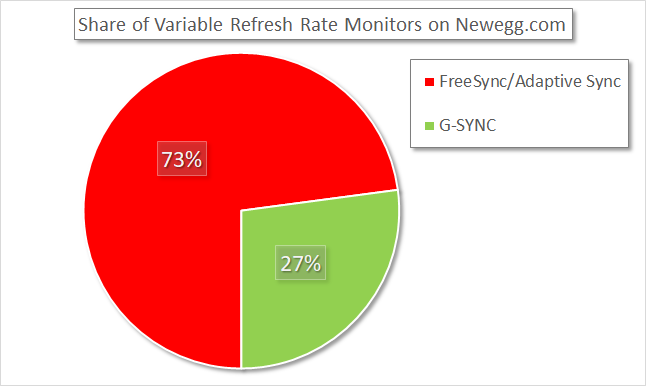 VSync works by limiting the application's frame rate to the vertical refresh rate of the monitor and only sending out a new frame when the screen is ready to receive one. Unfortunately, this is not the best solution, since it tends to raise input lag dramatically and often doesn't provide a consistent experience with highly fluctuating framerates. 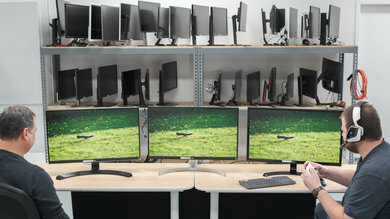 NVIDIA was the first to propose a hardware solution that would solve tearing whilst retaining the responsiveness and simplicity of unsynchronized displays. 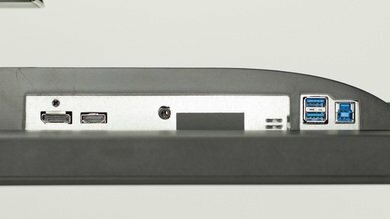 This was implemented as an NVIDIA G-SYNC module that replaces standard display scalers. All G-SYNC features only work with NVIDIA graphics, and are disabled when used with other sources. AMD's FreeSync is essentially the same concept, but instead of requiring expensive proprietary hardware, it works on traditional off-the-shelf components. This gives the advantage of not increasing the costs of the hardware but also allows manufacturers to easily adapt existing designs (hence "Free"). This sounds great in theory, but in practice, it means that the FreeSync implementation is entirely up to the manufacturer. 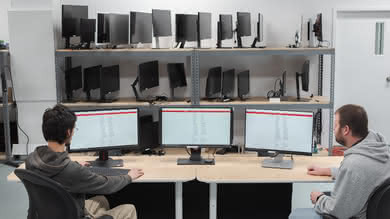 It is often the case that certain monitors only support the feature within a limited frequency range, reducing the usefulness of it. Winner: G-SYNC. While it is more expensive, it offers a standardized experience across devices. 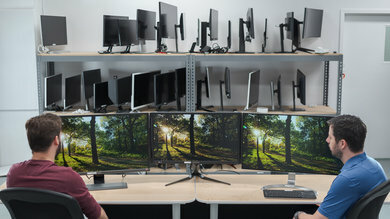 Since all G-SYNC monitors use the same NVIDIA-made hardware which was designed from the ground up to be focused on gaming, they all have low input lag. 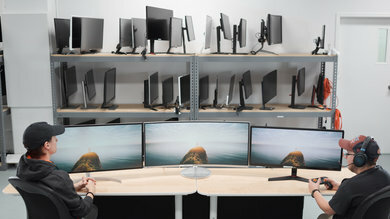 FreeSync monitors, on the other hand, are in the same position as standard non-adaptive monitors. It doesn't mean that FreeSync screens have inherently higher input lag, but you'll have to look at reviews for an input lag measurement before making your purchase. The use of generic hardware has an advantage though. 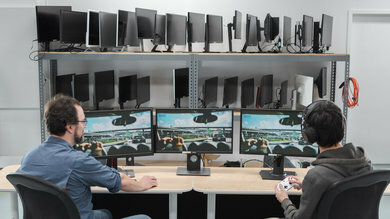 G-SYNC modules only support 1 to 2 inputs, depending on the generation. Newer ones that do feature an HDMI port in addition to DisplayPort 1.2 are still quite limited since it's only HDMI 1.4, which can be bandwidth constrained at higher refresh rates or resolutions, and it doesn't have G-SYNC functionality. 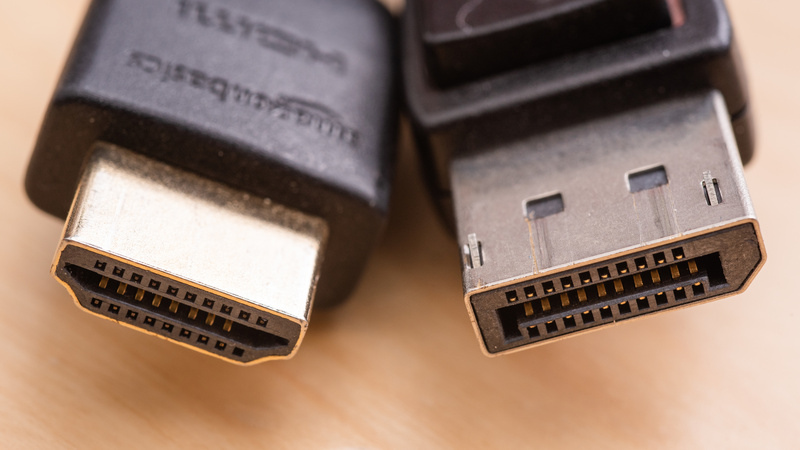 FreeSync monitors can have as many inputs as the manufacturer desires, including legacy ports such as VGA or DVI (FreeSync, however, only works on HDMI or DP). Unlike G-SYNC, FreeSync is supported over HDMI, but unlike DisplayPort, FreeSync over HDMI is not yet an Open Standard, so it only officially works on AMD graphics cards, including with the Xbox One. Winner: FreeSync. While G-SYNC offers the certainty of low input lag, FreeSync offers more versatility which is useful for those that plan to use their monitor with multiple devices. 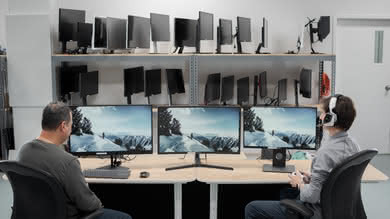 Due to its proprietary nature, G-SYNC can only be used with NVIDIA Graphics cards. It's a pretty mature technology, so as long as you've bought your NVIDIA equipped computer in the past 3 to 4 years, it's very likely that it will support it. AMD released the FreeSync protocol for open use through the VESA consortium as an official part of the DisplayPort interface, so anybody, including competitors NVIDIA and Intel, can use the open Adaptive-Sync standard for their devices (due to inherent limitations, NVIDIA actually uses the open standard for G-SYNC equipped laptops). "FreeSync" is mostly used for marketing and requires certification and licensing from AMD for use. At this point, only AMD is using this standard, so the support is about equivalent between the two, but AMD does have the advantage of also supporting it on their Radeon graphics equipped series of APUs. 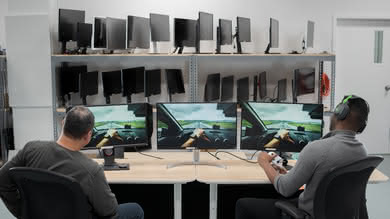 In January 2019, NVIDIA released an update to their GeForce driver that added support for DisplayPort Adaptive Sync. 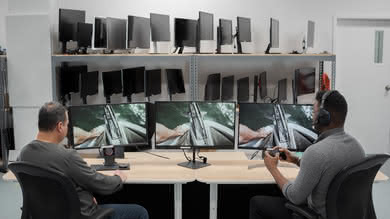 This allows anyone with an NVIDIA GTX 10- or 20- series graphics card to enable G-SYNC when connected to a compatible FreeSync monitor over DisplayPort. 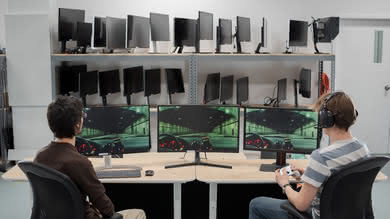 Find out more about NVIDIA's new G-SYNC capable mode here. 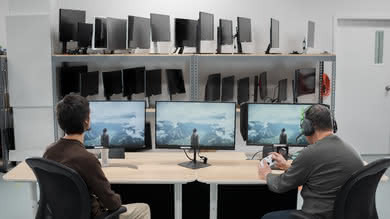 The full list of FreeSync capable devices can be found here, and G-SYNC capable devices here. Winner: FreeSync. 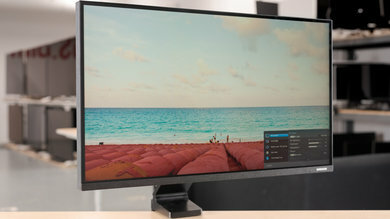 While the current support of the two is quite similar, other companies such as Intel, and now NVIDIA, use the standard, rendering existing FreeSync displays more versatile. While FreeSync is almost entirely aimed at simply being a more accessible method for variable refresh rates, G-SYNC aims more towards being an ecosystem for high-end gaming monitors to offer the best possible experience. As with most things, it doesn't mean a FreeSync monitor can't match a G-SYNC model, but every G-SYNC display comes with a default set of premium features. First and possibly most important is the Ultra Low Motion Blur feature (ULMB for short), which is NVIDIA's name for its image flicker / black frame insertion feature, which greatly enhances motion clarity. While it is currently impossible to use in conjunction with G-SYNC, it's still a great feature that isn't found on most FreeSync monitors. Another feature that is found on every G-SYNC monitor is "Variable Overdrive". 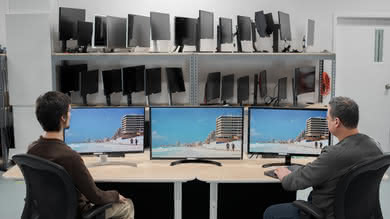 Effectively, it adjusts the monitor's overshoot setting for every refresh rate to reduce motion blur. Most monitors feature overshoot adjustments, but they tend to be automatically disabled when FreeSync is turned on since they're only really designed for a specific refresh rate. 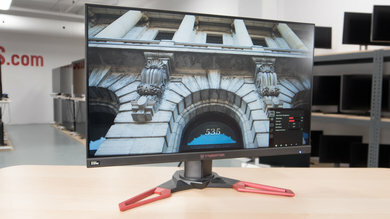 We've yet to see a FreeSync monitor that includes a similar feature. AMD and NVIDIA also recently announced new versions of their technologies, FreeSync 2 and G-SYNC Ultimate HDR. 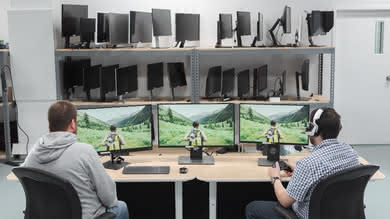 G-SYNC Ultimate HDR is basically a certification process for high-end HDR PC monitors while FreeSync 2 also adds an API that allows graphics cards to take over some of the tone mapping tasks usually done by the display itself, which according to them could possibly reduce input lag. Due to the simplicity of these tasks though, we don't expect it to be a significant advantage. You probably have noticed a recurring theme when comparing the two technologies. G-SYNC tends to offer a more feature-packed and polished experience than FreeSync, but it also comes at a significant premium. 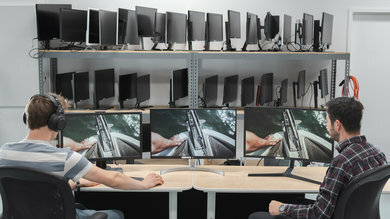 Most manufacturers that produce G-SYNC monitors often also make a quasi-identical FreeSync variant using the same design. This is really helpful since it allows us to do direct price comparisons and figure out how much the G-SYNC module tends to add to the price. 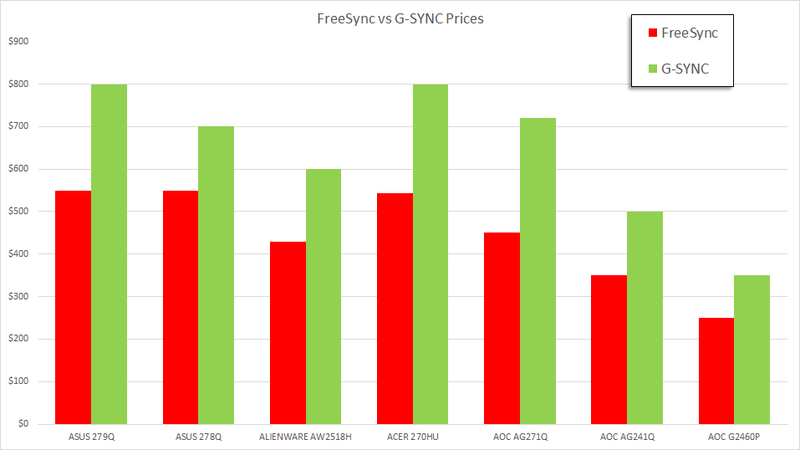 When we compared a sample of 14 monitors (7 pairs), the average price difference between the FreeSync and G-SYNC variants was $192.30. Now, due to our small sample size and a variety of other factors out of our control, it isn't an absolute number, but it's in line with what we'd expect. 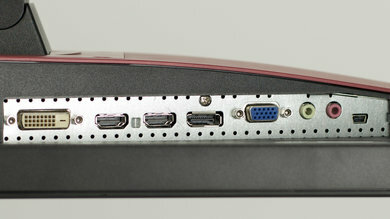 When G-SYNC first launched, it was available as a DIY kit for upgrading an existing ASUS monitor, and it cost $199 to purchase from NVIDIA. What's also important to note is the wide support for FreeSync thanks to its minimal implementation costs. 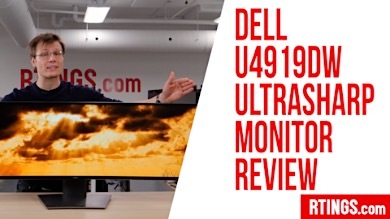 Looking forward, it isn't far-fetched to expect every new "standard" monitor to feature some form of adaptive sync, while G-SYNC will be reserved for a select list of premium-oriented gaming monitors. A good way to see this is the number of models found in retailers. 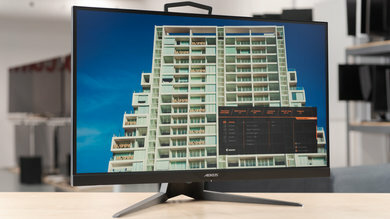 Newegg.com, at the time of this writing, stocks 29 G-SYNC monitors, but the FreeSync number is a significantly larger 78. FreeSync is also now available on many TVs and will be an integral part of new HDMI 2.1 devices expected to hit the markets in 2019. Some 2018 models already support it, including the Samsung QLEDs, NU8000, and NU8500. Winner: FreeSync. 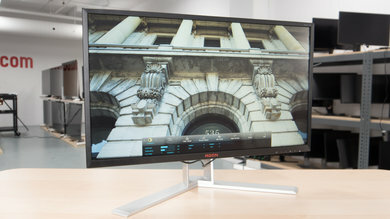 Due to its open nature and minimal additional costs for manufacturers, FreeSync capable monitors tend to be both easier to find and less expensive than G-SYNC models. Depending on your needs and preferences, you'll find that there is no clear winner between the two technologies. In most cases, your best choice is picking the technology that works with your computer: G-SYNC if you have an Nvidia graphics card, and FreeSync if you have an AMD graphics card. 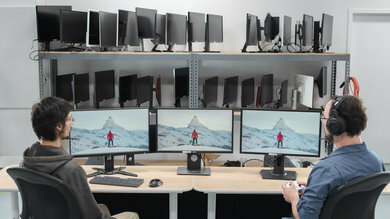 If comparing them directly, the most important feature works exactly the same on both, but G-SYNC tends to offer a more polished and consistent platform for a premium (which means that the best monitors around are mostly G-SYNC), while capabilities can vary wildly between the wide range of FreeSync models found in every price range. Be the first to start a discussion about AMD FreeSync vs NVIDIA G-SYNC: Which is better?